With traditional British roots and a colourful Chinese community, it’s no secret that Victoria has become a melting pot for tea drinkers. This healthy and natural beverage has become a popular means by which to relax, boost immunity, detox the body and delight the toungue. Now in its fifth year, the Victoria Tea Festival is gearing up and will take place February 12th and 13th at Crystal Garden (713 Douglas Street). Proudly presented by a personal favourite of mine, Silk Road, the Victoria Tea Festival is the largest public tea exhibition in North America. Designed to provide the opportunity to sample, explore, learn and experience teas from all corners of the globe, the festival also features prime exhibitors. 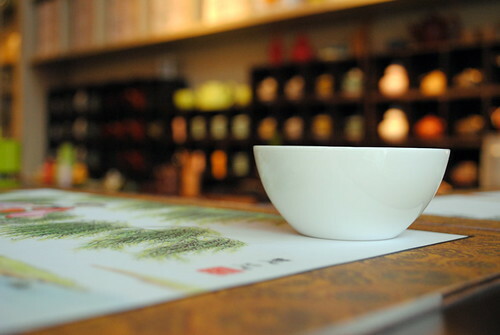 Tea experts will also be on hand to share their knowledge. And yes, there will be plenty of shopping for those wishing to take something home with them! Tickets for the Victoria Tea Festival are $20 in advance (or $25 at the door) and can be purchased at Silk Road, Serious Coffee, Murchie’s Coffee, Special Teas and Camosun College Child Care Services Office. For more information and to see a complete list of exhibitors and vendors, please visit the Victoria Tea Festival’s official website. You can also follow their updates on Twitter. All proceeds from the Victoria Tea Festival benefit the Camosun College Child Care Services in providing non-personnel resources, special projects and an annual student bursary.